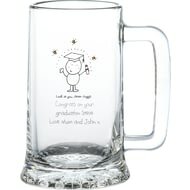 Do you know a beer guzzler who deserves a celebration? 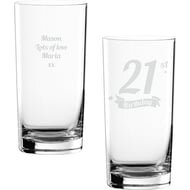 We engrave a message directly onto the glass stern making the perfect present for any gift giving occasion. 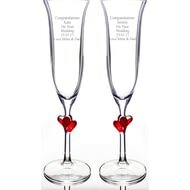 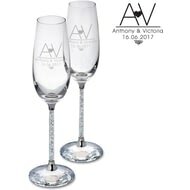 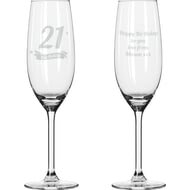 A delicate champagne flute is given a cute personalised twist by including your message underneath our graduate character. 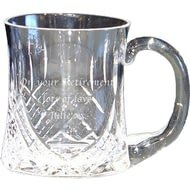 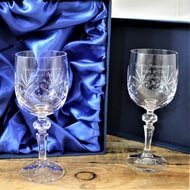 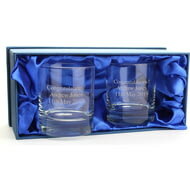 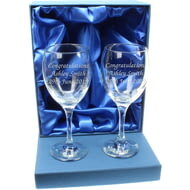 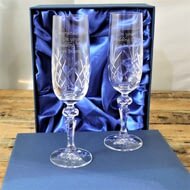 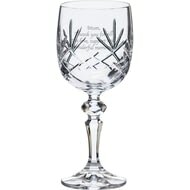 Make this Crystal stern tankard even more special by including the recipients name and age. 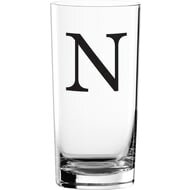 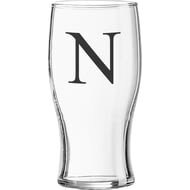 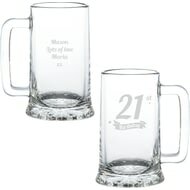 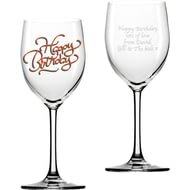 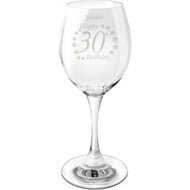 This simple yet stylish pint glass makes the perfect way to mark a milestone Birthday for someone special. 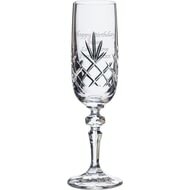 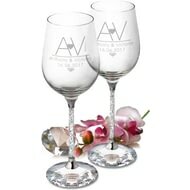 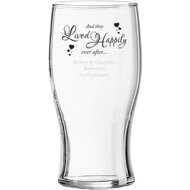 Made from fine crystal, this elegant pint glass is an ideal way to celebrate a special occasion with a loving couple. 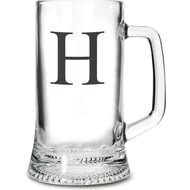 Do you know a beer guzzler who deserves a celebration? 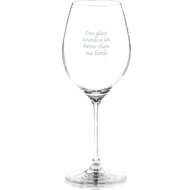 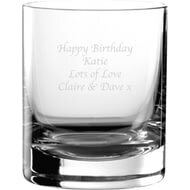 We engrave a message directly onto the glass making the perfect present for any gift giving occasion. 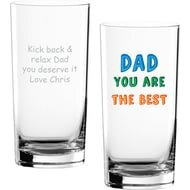 Is your Dad Awesome? 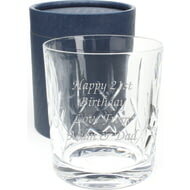 The Best or just Pretty Cool? 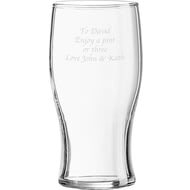 Why not tell him with this personalised glass! 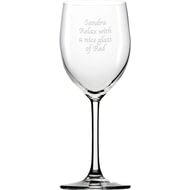 What’s a Father’s Day without a cheeky glass or two of wine? So, to get him drinking in style, treat him to a Chilli and Bubble Father’s Day Wine Glass. 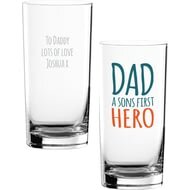 A perfect way to show your Dad that he's a Sons First Hero! 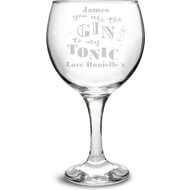 Add your recipient’s name of up to 15 characters to this quirky balloon gin glass! Ale aficionados, lager lovers and beer buffs will love this bespoke Birthday tankard. 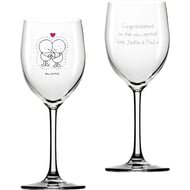 Your personal message for your sweetheart is lovingly engraved beneath this cuddly couple of Chilli and Bubbles characters to make the perfect Valentine's Day gift. 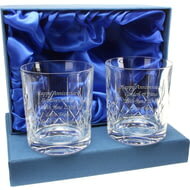 These whisky tumblers are made from beautiful cut crystal and make a perfect present to mark an important occasion.